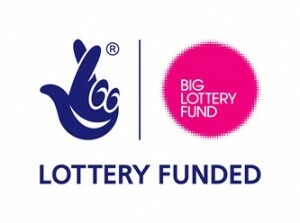 Allenton Big Local funds the Work Club at Allenton as part of our Creating Opportunities for Training and Employment priority. The club aims to reduce the barriers that job seekers face in gaining employment and offers support in the form of free access to computers, telephones and stationery, training in the use of Universal Job Match, coaching and support for individual job search, evidence of job search activity to meet Job Centre Plus requirements for those claiming Job Seekers Allowance, and opportunities to meet other job seekers. The Work Club also supports jobseekers to develop links to Allenton Library so that they can use library facilities for independent job search, and helps with referrals to Careers@Derby for on-site individual careers information advice and guidance. John has accessed the Work Club on a regular basis throughout the year as he lives in Allenton and this means he can keep his travelling costs to a minimum. If the Job Club wasn’t on John’s doorstep he would probably have to go to Derby or Sinfin. Allenton Work Club has allowed him to carry out thorough job searching with additional support from the Work Club Leader or volunteers as and when required. After a long time out of work John eventually gained short term work for three months through an agency on an aerospace assembly line which was followed by a shorter contract working in food manufacturing. Tina was referred to the Job Club by her Job Centre Plus Advisor. She has recently been moved from Employment Support Allowance to Job Seekers Allowance. This has been a difficult transition for Tina as she hasn’t had employment since 1992. In addition she faced other barriers back into work due to poor literacy and numeracy skills. A CV has been produced to allow Tina to start searching and a Universal Job Match account has been set up for her. A skills assessment was also carried out as part of a Careers Guidance session and Tina was referred to Derby Adult Learning Service for assessment to start a literacy and numeracy course. She has started the numeracy course and starts literacy in January. She has already had an interview for employment and, although she was unsuccessful, the experience has increased her confidence. Being away from the work place for so long had adversely affected Tina’s confidence. She had become withdrawn, found it hard to socialise and consequently used to spend a lot of time on her own. Tina has told the Work Club Leader that the interaction with other learners on the course and other people at the Work Club has improved her self-confidence. The Work Club is run by Derby Adult Learning service and is held on Mondays (except Bank Holidays) between 9.30am and 4pm at the Allen Park Centre (next to Allenton Library).